There’re Two Types Of Apps Version- Stable And Beta, Previously Only Stable Versions Are Available For All Users, Later Google Play Store Added Beta Program For Developers And Users. 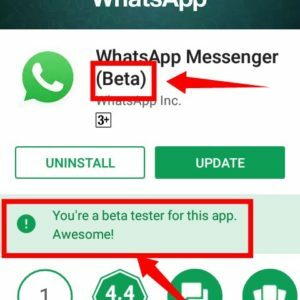 WhatsApp- WhatsApp The Popular Messaging App Have Two Versions-Stable And Beta, By Default, You Install Stable Version Of WhatsApp, To Get Beta Version You Need To Enter Beta Program Of The App Which You Learn In This Post. WhatsApp Beta Has A Lot Of Features Which Not Available In Stable Version Of WhatsApp, WhatsApp Beta Gets New Feature First And Later WhatsApp Stable Gets Those Features, Means Beta Version Of Apps Gets New Features First-To Access These New Features You Must Have Beta Version Of The App. Gboard-Gboard The Popular Android Keyboard Has A Lot Of Features, But Gboard Beta Version Get New Features First, Later Its Stable Version. To Get Access Of Gboard New Features You Need To Enroll In Beta Version. Now, How You Enroll Your Apps Into Beta Version. 1. 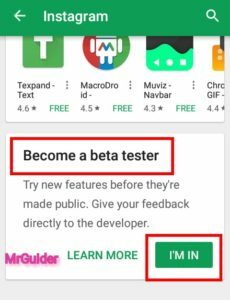 )In Google Play Store, Type The Name Of The App Which You Want To Enroll In Beta Program i.e. WhatsApp, And Open The App Page. 2. )After It, Scroll Down To Bottom, And You’ll See “Beta Program” Section-Click On “I’m In” Option. 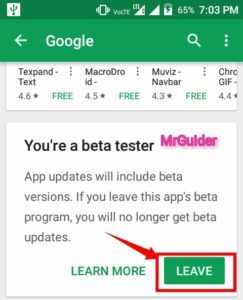 Wait For Few Seconds, Uninstall Existing Version(Stable) Of The App, Once Installed, Restart Google Play Store-Go To The App Page-You’ll See The Message-You’re A Beta Tester Of This App. Install The App. That’s It. 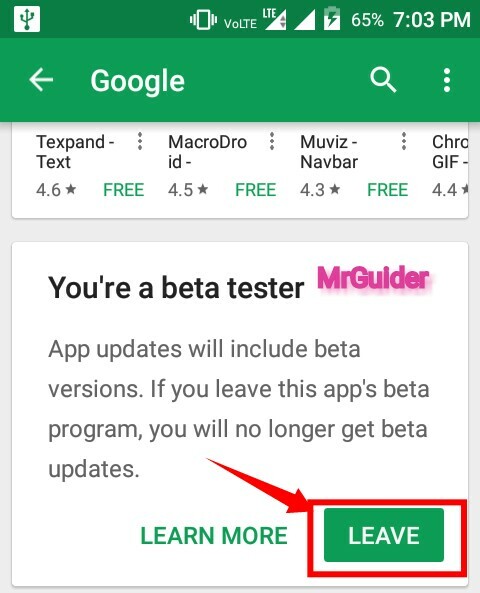 How To Leave Beta Program? Once You Installed Beta Version Of An App, And Later You Want To Leave That Version, Then You Can Leave But It Take Few Minutes-Go To Play Store-Click On Menu(Burger Type Icon At Top Right) And Choose My Apps And Games Option, After It Go To “Beta” Tab Where You’ll See List Of Apps Enrolled In Beta Program, Click On The App-Scroll Down To The Bottom Of The Page And Under Beta Program Section Click On “Remove”, This Will Remove You From Beta Program But It Take Few Minutes To Remove-Close The Play Store And Come Back To The App Page After Some Time-Re Install App. That’s It. Are There Any Problems With Beta Apps? Yes!! As I Mention Above There’s Two Version Of Apps-Stable And Beta, Beta Apps Are Unstable In Which Some Functions May Not Work Sometimes. Another Problem Is With Updates-Beta Apps Updates Frequently As Compare To Stable Version Of Apps.